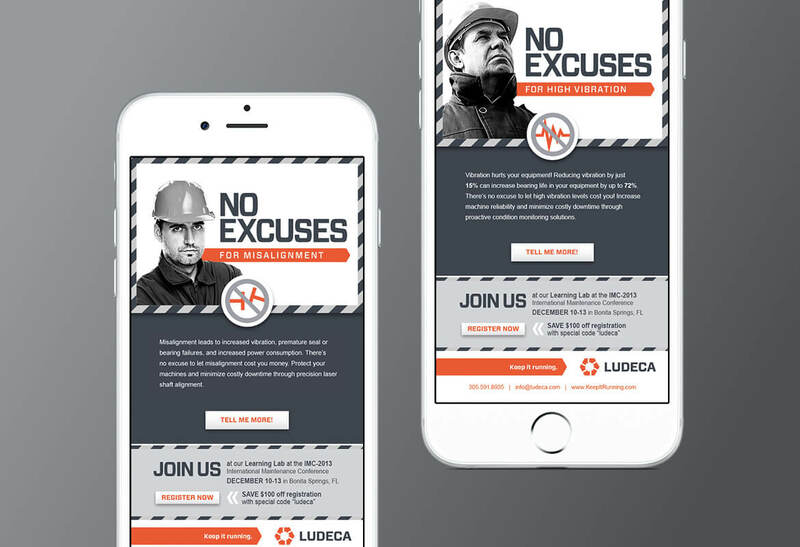 Founded more than 35 years ago, LUDECA is the leading provider of Predictive and Proactive Maintenance Solutions, including laser alignment, ultrasound testing, vibration analysis and balancing equipment in the industry. Their equipment and support are the industry benchmark that others measure themselves against. In 2015 they cemented their position within the industry as the foremost reliability solutions provider with the highest number of Certified Reliability Leaders in the United States. Since 1981, the name LUDECA has been synonymous with alignment. Whether it be laser, ultrasound or vibration, LUDECA is the leader in the industry. kabookaboo was retained more than 7 years ago to work on updating the brand and creating a more formal marketing program. The first step in updating the brand was to define its sole purpose as a company. At the end of the day, LUDECA’s mission was to Keep it Running. 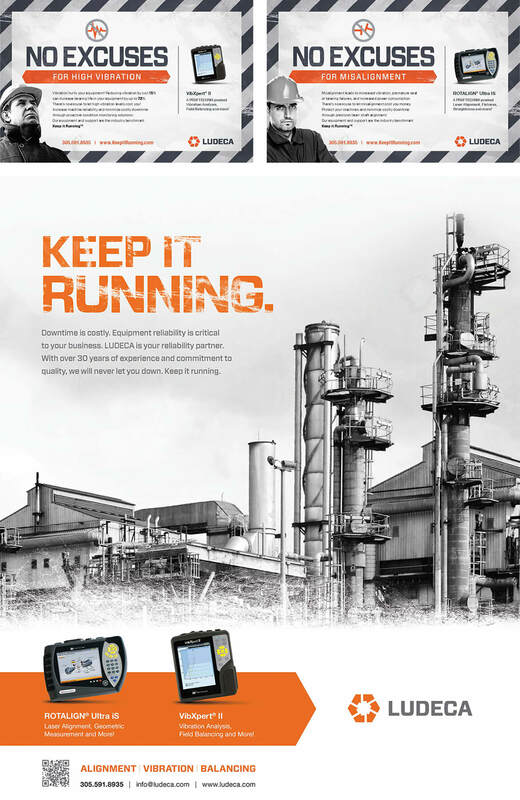 Whether it was a machine or a power plant, the sum of all of LUDECA’s equipment, training and service was ultimately to Keep it Running and in doing so, minimize downtime and loss. From this new focus on business, kabookaboo built a new brand from logo to email for LUDECA and then worked to formally set up in Marketing programs. LUDECA’s website is a central point of its business. Not only are all of the 75 products and 5 service lines available but also countless numbers videos, resources, support material, software and firmware are available to help drive the customer centric approach. The website also features an extremely robust WordPress Content Management System capable of editing every aspect of the website. The premium Yoast SEO plugin was then utilized with a search strategy to secure top placement in all key phrases. To help connect to the end user as well as decision makers, kabookaboo created a series of corporate videos detailing all parts of the business from culture to service to vision. These videos were then leveraged across all parts of the digital marketing platform to increase engagement and conversion opportunities.